Clearance Sale! 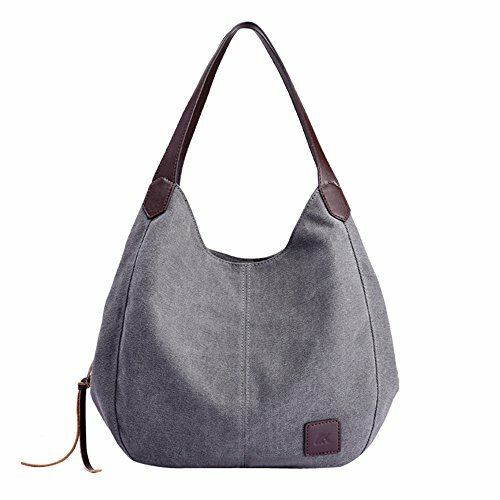 ZOMUSA Women's Casual Multi-Pocket Canvas Handbags Messenger Bag Tote Single Shoulder Shopping Bags (Gray) by ZOMUSA at Right Clearing. MPN: ZOMUSA0118. Hurry! Limited time offer. Offer valid only while supplies last. We are striving for the best quality product and customer experience.If there are any questions BEFORE or AFTER purchasing,please let us know in advance, so we can take care of any issues first. If you have any questions about this product by ZOMUSA, contact us by completing and submitting the form below. If you are looking for a specif part number, please include it with your message.